This is the worst and best of my meals. 1. Bad branding. 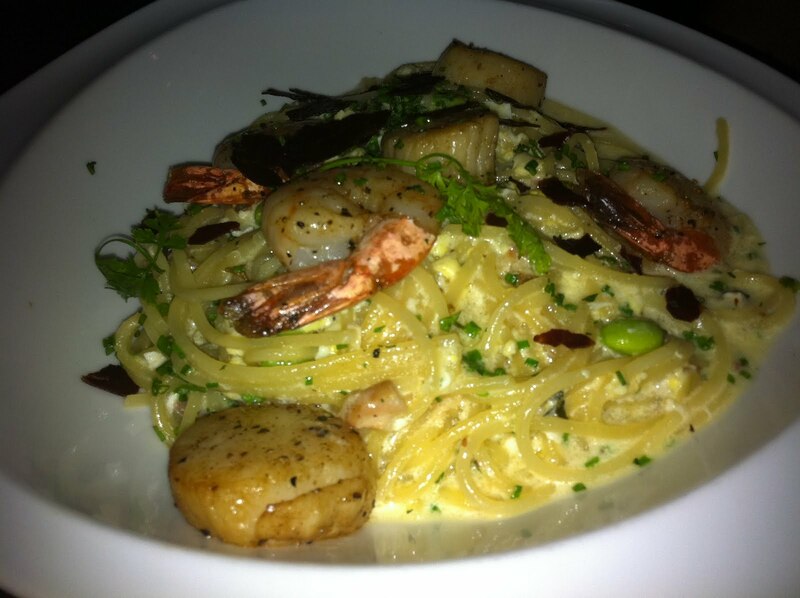 What is the name of the restaurant? Is it Coast, or One-Twenty-Six, or just Twenty-Six as the signboard writes? 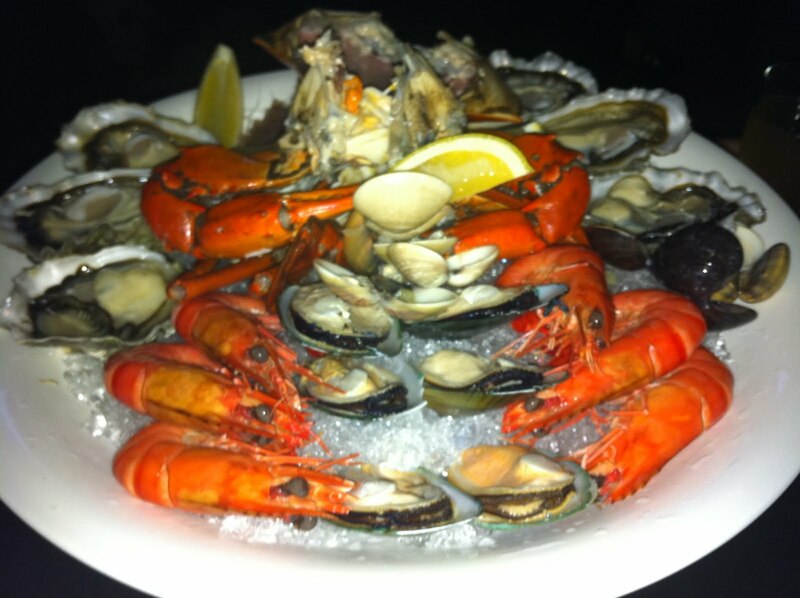 To upgrade from the Nibble Platter to Coast Platter, an additional of $18 per person. Prawns, crabs, oysters, clams, mussels but no sashimi as promised. Decent seafood but nothing spectacularly astounding. 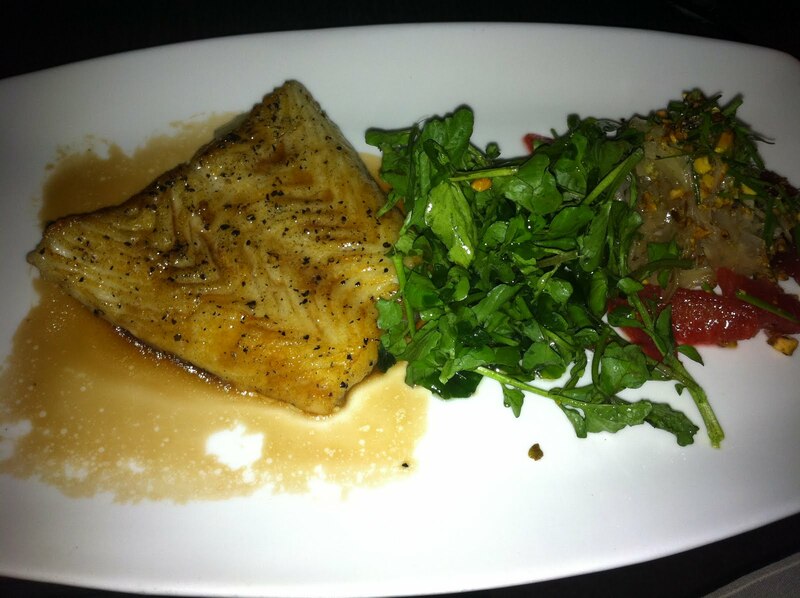 My cod fish with the sweet wine sauce was fresh and succulent, but why even provide the salad when the sides include salad? I’m glad to notice that Dr. Jones didn’t touch the salad but went for the fries. He said he liked the cheapest stuff, and his statement made him very endearing to me. It demonstrates that he is unpretentious. 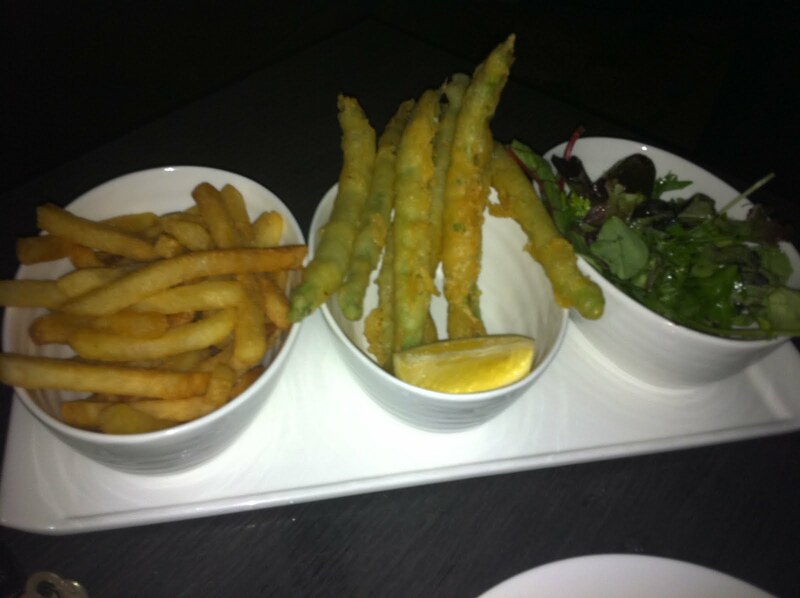 The tempura french bean was a little too oily for him; but I liked it although it was quite tasteless without dips. Speaking of dips, why didn’t the sides come with dips? 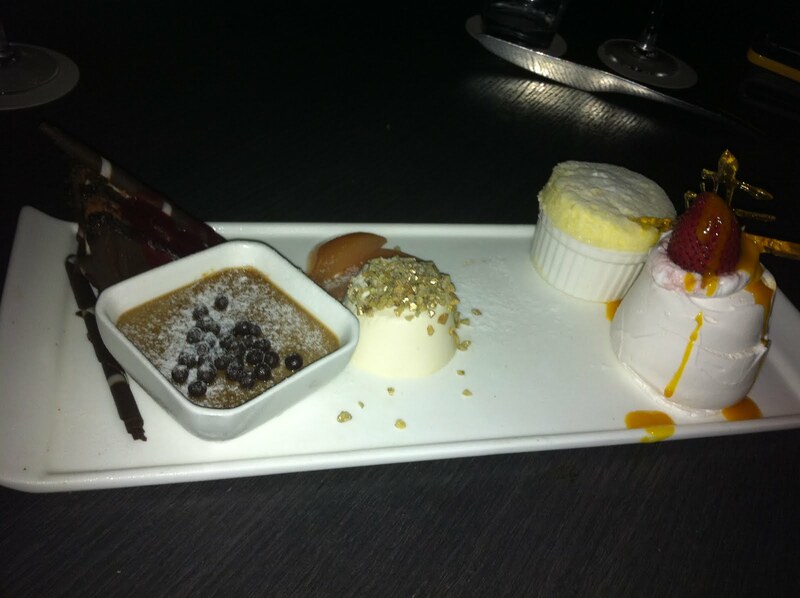 Desserts: lime souffle, chocolate cake, espresso creme brulee, a meringue, and something. Desserts are my favorite part of the meal – but I didn’t even feel like eating much of this. Ok, it might be because I was in “a state of feverish excitement”, but still, the desserts were not impressive. How does the dessert chef expect people to eat meringue? 3. Untrained, forgetful servers. They forgot our requests, and we waited for the bill for too long time. For a rather fancy place like this, the servers are grossly under-trained. 1. Ambience: near the sea with live band singing fantastic songs. 2. Dr Jones: Very good company, who gave me a better seat to see a better view. I should say, it is the best view I’ve seen in my life. With such good company, I didn’t even get angry over the bad food and service, which I usually do. I think so long as I’m with good company, it doesn’t matter where I eat. Overall, for the price we paid, we should have gone to a sexier and much better place like Gunther’s. It was really too expensive for such ordinary food, and at casual place. Avoid eating here.